Are you looking to start your SMM Business? Introducing Levopanel. 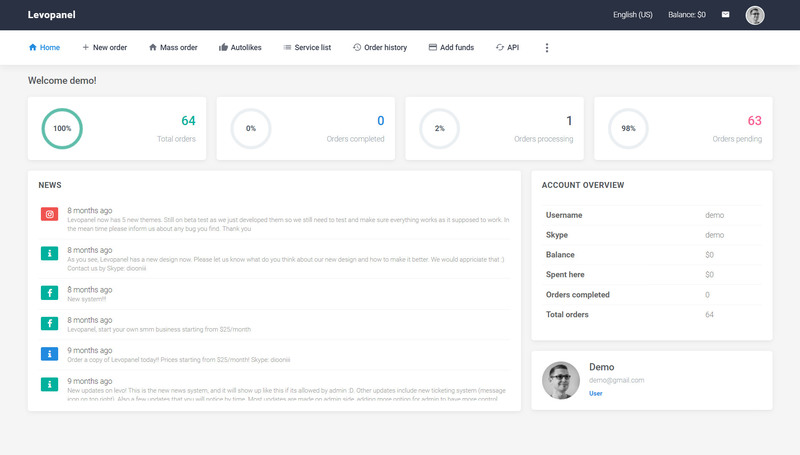 The best SMM panel platform, a fully automated panel which will save you time and money. Connect via API with other smm panels and let other panels connect with you. 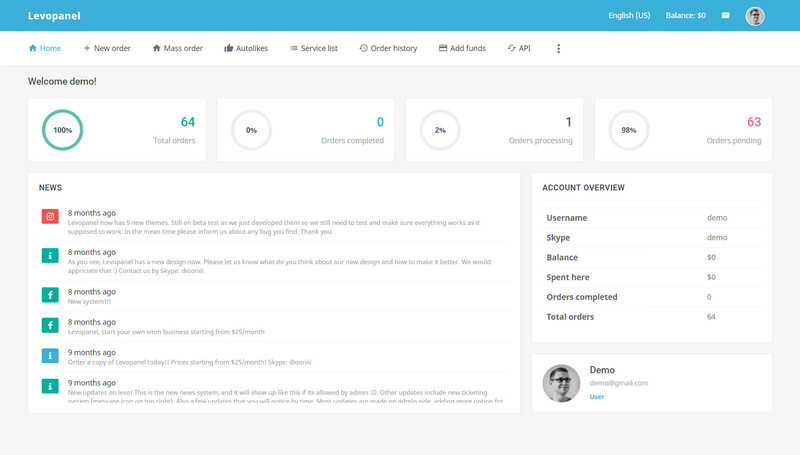 Process orders automatically via API, save your time! Accept online payments via PayPal, Skrill, Bitcoin, 2Checkout, Perfect Money, Webmoney and Payza. Panel updates funds automatically. Manage users, orders, services, deposits, tickets. Edit panel settings, change smm panel theme, style, color and a lot more. 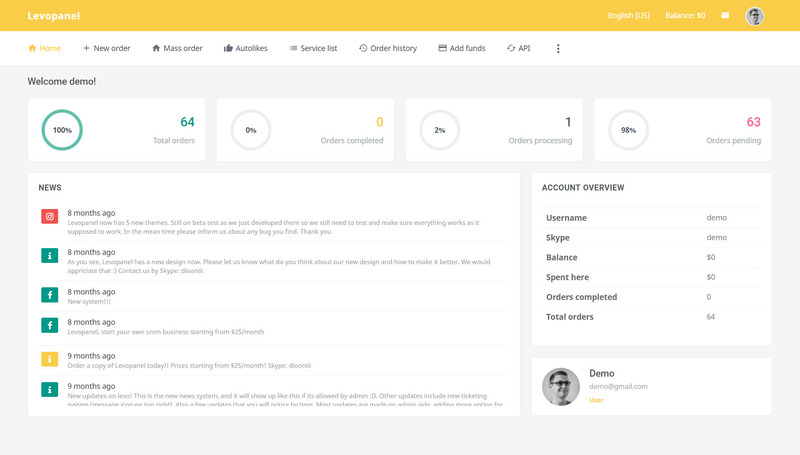 Panel for your customers where they can place order, see order history, add funds, open new ticket, check latest news etc..
We put a lot of effort in design, as it’s the most important ingredient of successful website. Mobile optimized. Choose between 5 SMM Panel Themes. You already have a panel? No problem! We can transfer all your data from old smm panel to new Levo Panel. You get free hosting and premium support on each package. Up to 1000 orders monthly, starter option. From 1000 to 10000 monthly orders, medium. From 10000 to 100000 monthly orders. From 100000 to 200000 monthly orders. Do you sell followers or likes? No, we don't sell any SMM Service. Do I need to use my own domain? Yes, you should use a domain that you already have. Do I need web host? No, all packages include a fast and secure hosting. Do you sell one time? No, panel is for rent only. You need more information or have any question? Please do not hesitate to contact us. Here are some ways that you can contact us.